Stamping Rules! : Happy birthday, StampNation! Hip, Hip, Hooray! This week StampNation is celebrating it's third birthday! 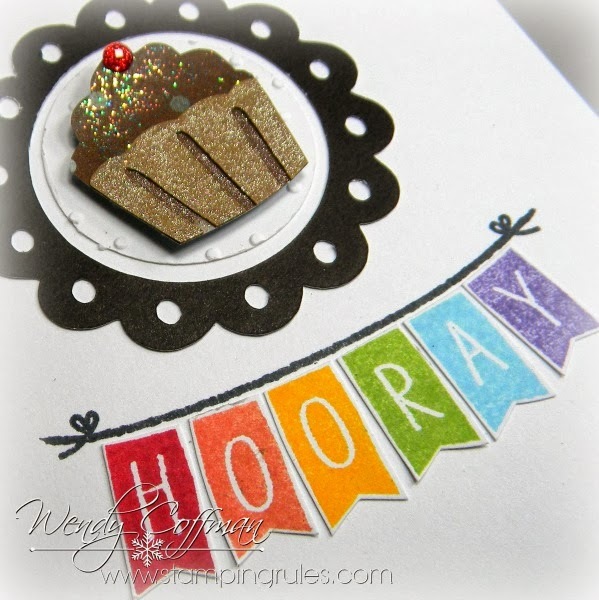 You'll be seeing a lot of snippets of birthday cards from me - members can see the full cards over at StampNation. Want to learn more? Check it out here at Catherine's Blog. Now who wants a cuppie?